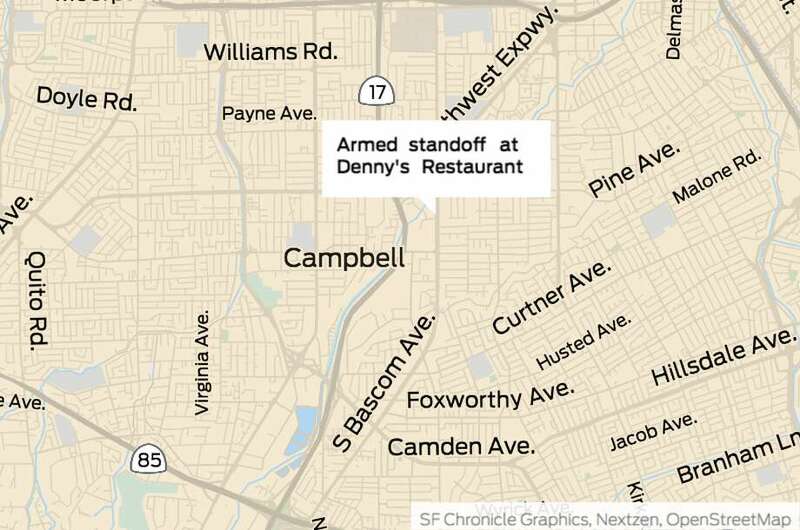 Armed standoff at Denny & # 39; s Restaurant in Campbell. A crisis negotiating team has responded to a Denny in Campbell this morning to speak down a man inside who is believed to be armed, police said. Police have closed Bascom Avenue on Campbell Avenue and on Dry Creek Road to ensure social security. Further details were not readily available. Copyright © 2019 by Bay City News, Inc. Representation, Rebroadcast or other reuse without the express written consent of Bay City News, Inc. is forbidden.